The class finishes the costumes and Sawako performs her solo performance. Kazahaya ensures that Sawako knows his feelings. Sawako and Kazehaya walk to the shrine silently. They finally look at each other after Kazehaya saves her before she falls down the stairs at the shrine. They are about to continue their awkward silence until Chizuru, Ayane, and Ryuu (who are also stealthily at the shrine) call Kazehaya to apologize for not coming along. The two go to get hot drinks at a stand and Kazehaya admits he normally doesn't like the drink, but this time he does because Sawako does. She's excited over getting to see his first time at something, but he lists several of his first times that relate to her (like wearing the stomach band). 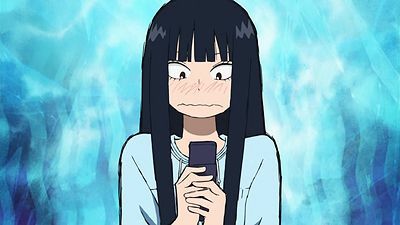 They exchange phone emails and Kazehaya realizes Sawako's birthday is that day. She tells him about her childhood as they walk, up until the present, then realizes she had always been alone until she met him. 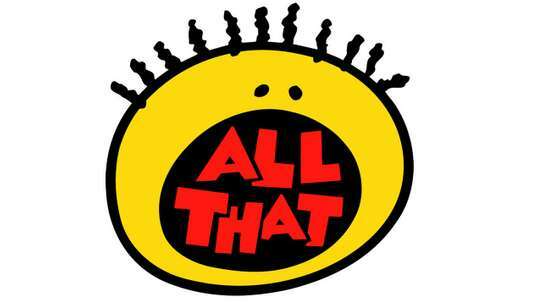 It's the last day of class before winter break. Sawako worries that she won't see her friends until classes start again. She reluctantly says goodbye to Kazehaya then goes out to eat with Ayane and Chizuru. They find out her birthday is on New Year's Eve and tell her about their plans to go to the shrine that day with Ryuu, inviting her as well. She finds out she can go, so her friends convince her to call Kazehaya and invite him as well. He agrees to come. On New Year's Eve, Chizuru and Ayane come to Sawako's house. Their present to her is to make her look really cute for Kazehaya. They style her hair and put on a little makeup and head out for the shrine. Before they arrive, Chizuru and Ayane leave, telling Sawako Ryuu actually isn't coming either. She continues alone, meeting Kazehaya. He is astonished by her extra-cuteness and they continue to the shrine. She reflects on her happiness to spend her birthday with him. Despite being nervous and embarrassed, Sawako goes to the classroom to confront Kazehaya. 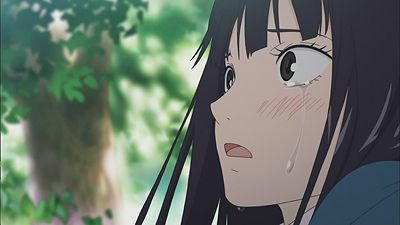 Before Sawako has a chance to tell Kazehaya how she feels, Kazehaya apologizes to her for making her cry and angry, and that he would listen to her no matter what, because his feelings wouldn't change. He then says that Chizuru and Ayane are probably outside, but Sawako interrupts and says that she came to talk to Kazehaya, not to Chizuru or Ayane. 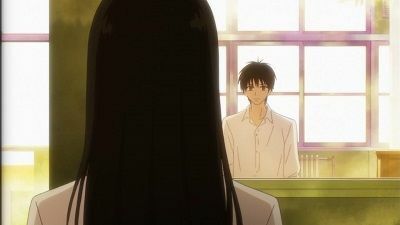 Sawako tells Kazehaya about people apologizing to her for everything she did, and that she was thankful that Kazehaya smiled and said "thank you". She thanks him for his smiles, kindness, and telling her his hidden feelings. Kazehaya is about to say something when Sawako interrupts with "I like you", and keeps on repeating it. Kazehaya pulls Sawako into the classroom by the hand and shuts the door. Meanwhile, Joe is looking outside for Kazehaya and Pin is looking for Sawako. When Chizuru and Ayane tell Pin she went home, Pin heads towards the classroom to look for Kazehaya. However, Kazehaya and Sawako are hugging to the side of the classroom door, unaware of anything else. They stare right at each other, Kazehaya realizing they both have the same feelings, and Sawako still being confused. After a minute Joe walks in to the classroom and Kazehaya and Sawako pull away from each other. Sawako runs off, and Kazehaya becomes embarrassed and upset. Later that night, Ayane and Chizuru ask how the talk went, and Sawako says she wasn't able to say 1/10 of her feelings to Kazehaya. Pin walks in and pulls Sawako outside, where Sawako breaks down and tells Pin she can't look at Kazehaya without secret feelings. Pin replies that everyone has a heart, so Kazehaya probably has the same feelings. He runs off, telling her not to worry about it and for her to do well in the solo performance. He's heading home when he realizes he said something "super wonderful" and runs off to find Kazehaya. Kazehaya is sending a text to someone when Pin barges in telling him that it's okay to have secret feeling and such, but Kazehaya tells him to go home. Pin is still yelling outside when Kazehaya finally sends his text. Ayane and Chizuru wish Sawako good luck, as she is going to talk to Kazehaya again tomorrow. 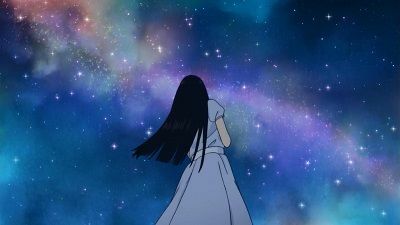 The end of the episode shows the text was to Sawako, and both of them are wishing for tomorrow to come so they can see each other again. Sawako is cornered in the girls bathroom by the some girls from class A until Yoshida and Yano intervene. Kazehaya makes a public statement on how he hates ridiculous rumors and realises he can't be alone with Sawako now she's close to Yano and Yoshida. Ayane and Chizuru visit Sawako's house and, despite appearing disreputable at first, impress her parents by being "such nice girls". Meanwhile, Kazehaya and Ryuu are together when Kazehaya gets a call from Pin. Pin explains that he met Sawako the previous night, and now thinks he is possessed because he doesn't feel good. The truth is that Sawako noticed he was catching a cold, and gave him advice on how to prevent it, although he misunderstood. Pin insists that Kazehaya bring Sawako to him right away. Kazehaya, Ryuu, Sawako, Ayane and Chizuru all end up at Pin's filthy apartment and realize he only has a cold. 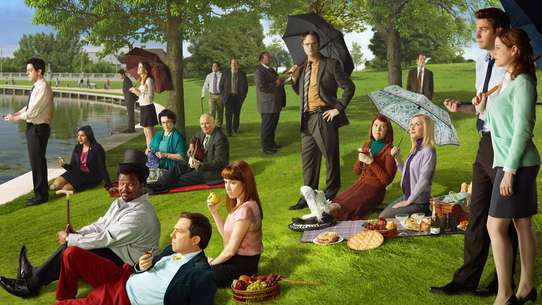 They spend the rest of the day cleaning for him. They leave at night and Kazehaya ends up walking Sawako home. 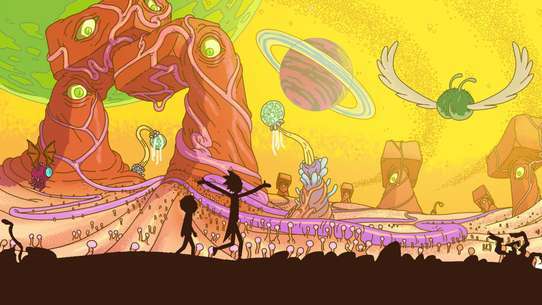 Thanks to a prank played by Pin, the two of them almost kissed under the stars. With the school festival finally over, Sawako leaves home to go to an after the festival party. She meets up with Kazehaya and they continue walking to the party. When they get there they find Joe reenacting all of the details from when Sawako and Kazehaya confessed to each other. Everyone is saying that Sawako got Kazehaya with black magic, but Kazehaya immediately clears up that misunderstanding. After the party the class goes to the beach, where Kento pulls Kazehaya aside and tells him why Sawako was crying the other day. Pin also pulls Sawako aside to ask her if she told Kazehaya about her secret feelings. Kazehaya walks over and Pin makes him ask Sawako out, but while Kazehaya was at a loss for words Pin shouted "WILL YOU MARRY ME!" causing a misunderstanding on Sawako's part. Kazehaya follows her after she ran off, and she explains that she didn't take it seriously, when Kazehaya thought she did. After that was cleared up, Kazehaya finally asks out Sawako, who accepts, and Sawako tells Kazehaya about her secret feelings. Ayane, Chizu, Kento, and Kurumi are watching from above. The next day in school everyone has heard about the confession and now that Sawako and Kazehaya are dating. 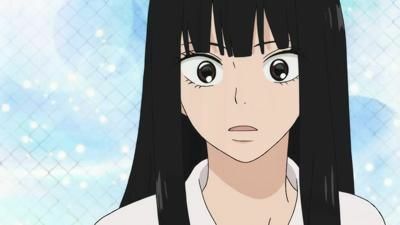 People go up to Sawako, hoping she can help them find boyfriends/girlfriends. In the classroom, Kazehaya tells everyone, under influence by Ayane, that Sawako is his girlfriend. 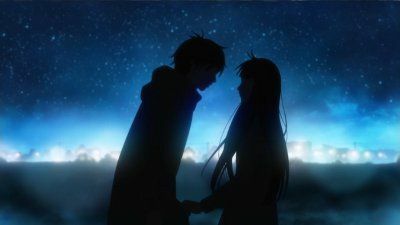 Everything is no longer chaotic, Kento sees how perfect Sawako and Kazehaya are together, and he expresses his feelings in his thoughts that no one would have thought Sawako would win Kazehaya and Kurumi would end up with a broken heart. 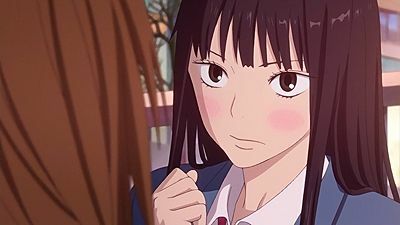 At the end of the episode the girls from Class A who bullied Sawako find out about Kazehaya and Sawako's new relationship. Chizuru and Ryuu are back on good terms and everyone is eagerly anticipating Christmas. Their class is going to hold a party and Kazehaya asks Sawako to come. She really wants to, but thinks of her parents. Traditionally, her family spends all day celebrating, so she would feel badly about leaving them. She decides not to go to the party, but makes gifts for Chizuru and Ayane. She also makes a hat for Kazehaya, though she knows she won't have the nerve to give it to him. 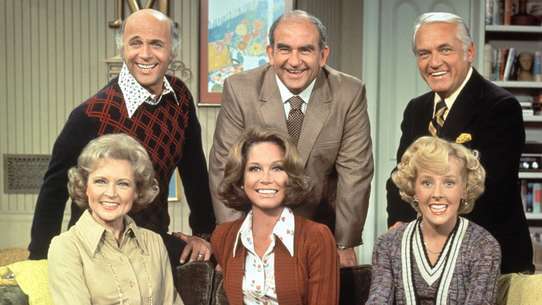 On Christmas Eve, she spends the day with her parents. Her dad is especially enthusiastic and ends up taking the hat Sawako made, thinking it was for him. She doesn't have the heart to correct him. 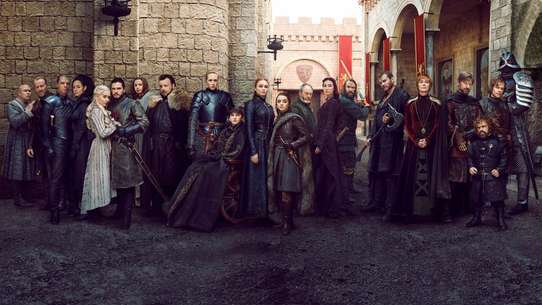 Later that night, she gets a call from her friends at the party asking her to come. She becomes very distraught, so her mom takes the call instead. Her dad calls her over and gives her his present for her- a cellphone. He lets her go to the party and realizes she is growing up. Sawako runs there, but everyone has left. Only Kazehaya has been waiting for her out in the snow. Sawako and Kazehaya continue talking while they walk. 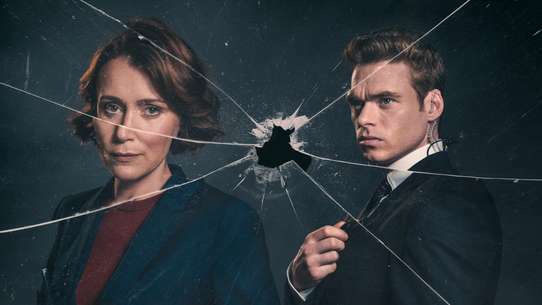 She begins to say she'll try harder this year so people will like her, but he interrupts and says they already do. They visit the shrine and go to pick out fortunes. 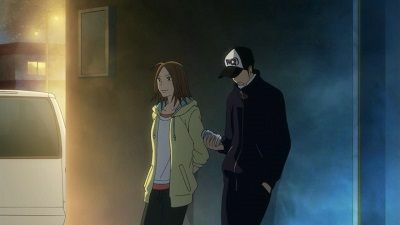 Sawako is distressed by getting a "Bad Luck" slip, so Kazehaya gives her his- "Very Good Luck". She reads the part pertaining to love and realizes it could be talking about Kazehaya. 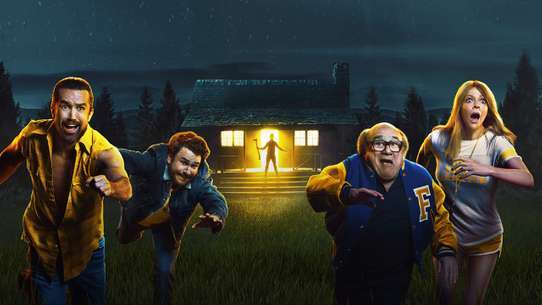 They continue home, taking the path she walks to school. Kazehaya stops at one corner, and reminisces that he met Sawako for the first time at that spot. She's surprised he remembers, but has also been thinking the same thing. 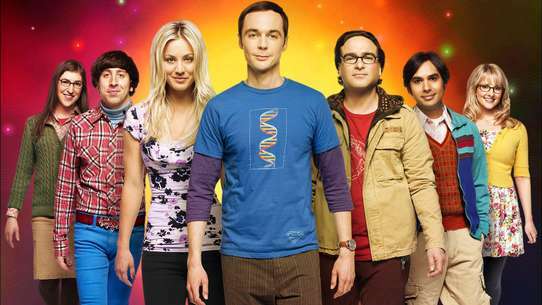 They continue home, each internally realizing their love for each other, but neither acting on it. 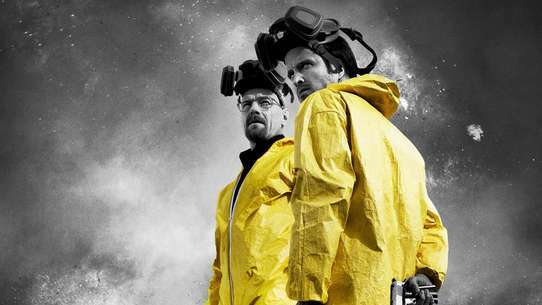 They part, leaving the impression they will be together this year. 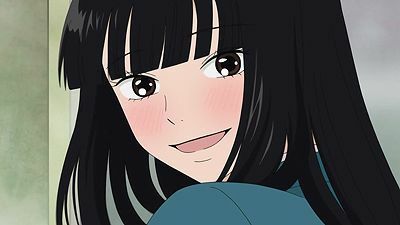 With the first semester midterms over, everyone's recognizing Sawako for her review session, praising her. 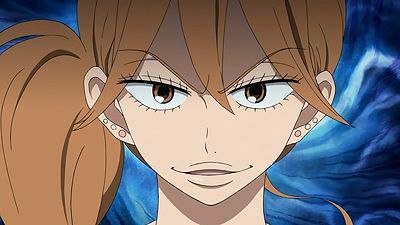 Sawako's class decides on having "Sawako's Black Magic Cafe" as their exhibition, using Sawako's herbs to make tea, and having an additional "Ask Sawako" advice booth. Sawako and Kazehaya are still awkward and silent towards each other, which Ayane notices and worries Chizuru. Next day, Ayane goes over to Chizuru's house to help her get ready for Toru's Wedding. The wedding ends without a hitch and Chi solidifies her sibling-like relationship with Toru. Afterwards, Chizuru asks Ryu to follow-up with Kazehaya, feeling guilty about what she said to him. Ryu initially refuses but concedes, saying he would only listen to his problems. Later, Kento approaches Sawako, who's tending to her garden. Back in the cafeteria, Ryu, still keeping in mind what Chizuru said, asked Kazehaya, bluntly, if he had confessed already or not. As Kazehaya's explaining his confusion and worry, Pin arrives, teases him about not having confessed yet and mocks him, telling him to confess to Sawako already. Kazehaya, determined, runs out, searching for Sawako (Pin told him where she was). Out in the courtyard, Kento and Sawako are discussing how Sawako's finally fitting into class (which she hadn't noticed, and shocks her). 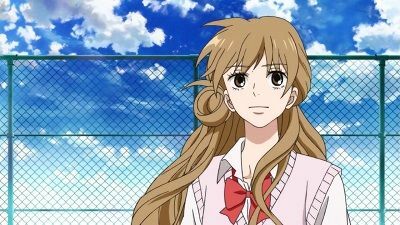 She receives a mental shock when Kento says that Kazehaya was probably looking out for her because she was an outcast, and since now she's not, he probably wouldn't talk to her anymore, and that he is in love with someone (both not realizing it's Sawako herself). Sawako, distraught, walks away and starts to cry. 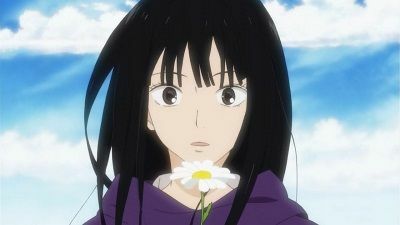 Kento tries to cheer her up, and ends up asking her out in the flow of things, only to be drowned out by Sawako's thoughts and the arrival of Kazehaya. Kazehaya walks out on Sawako and Kento, with Kento grasping Sawako's arms and Sawako crying. Kazehaya asks what Kento is doing, and why Sawako is crying. Three of Kazehaya's friends walk over, to find Kazehaya angry, Sawako crying, and Kento just being there. When the three of them fool around and say that Kazehaya and Kento are both going after Sawako, Kazehaya finally cracks and confesses his love to Sawako. Sawako takes the confession as a misunderstanding and tells Kazehaya that if he says it that way, people will get the wrong idea. Kazehaya finally walks away, and Sawako follows. Kazehaya and Sawako skip class, and when Kazehaya asks her if she likes him, she says yes, but Kazehaya takes it in the way as just being friends and walks off, leaving Sawako alone in the alley. 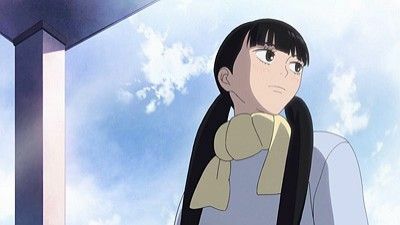 Pin finally finds Sawako, and after Sawako tells Pin that she has been rejected by Kazehaya, Pin tries to cheer her up. Ayane and Chizuru are also looking for Sawako and they have a feeling that Kento was a major part of it. They ask Kento where she is, and Kento says that she's outside by the benches. Kento tries to follow, but is interrupted by Kurumi, who makes Kento tell her what happened. Pin is still outside comforting Sawako, but is interrupted by Ayane and Chizuru. 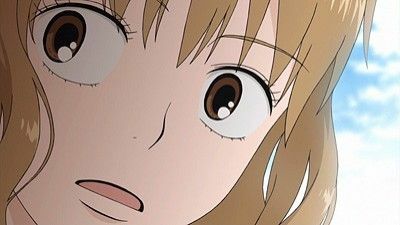 They ask what happened to Sawako, and before Ayane finished explaining something, Chizuru breaks out in tears and tells Sawako that she's being wrong, and Kazehaya is only angry because of the actions that Sawako took. Chizuru finally takes off, Ayane following her. The episode ends with Sawako asking herself if she had really done her best with Kazehaya up until this point. Ryuu's brother leaves, he tells Ryuu to tell Chizuru to show up next time. Later Chizuru heads over to give Ryuu her present, where Ryuu states that she was late and he hopes that Chizuru will finally get over his brother, she gets angry and throws his present at him. Sawako and Ayane are grief stricken with worry about Chizuru since they can't do anything about the situation. Kazehaya shows up and explains to them that its good that Chizuru has them, and that she has them to worry and care for her. In class Chizuru ignores Ryuu, they eventually run into each other where Chizuru asks what he meant last night when he said that she was late. Eventually he shows that he wanted Chizuru to get rejected in order for her to finally get over his brother, Chizuru is upset that he thought the only reason she came over the other night was just to see his brother and leaves. Ayane and Sawako find her, where she eventually breaks down and tells them about how angry she is at Ryuu, not knowing that he is listening and then leaves, Chizuru continues saying what pissed her off the most was how she treated Ryuu. 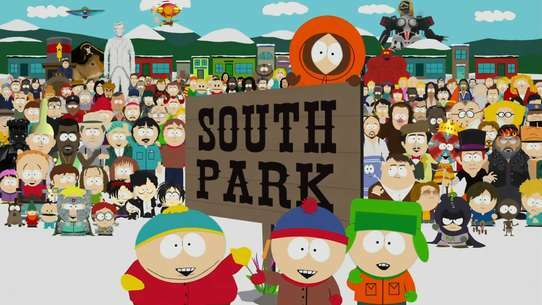 The three girls then go out and enjoy the rest of the day. School continues and Chizuru looks refreshed but still ignores Ryuu. While walking home with Sawako and Ayane, they discuss what Chizuru would say to Tooru, Ryuu's older brother if he was to return. Then Tooru actually shows up and tells the girls that he's going to steal Chizuru. The two of them walk together, as Tooru talks about his memories with Chizuru when they were younger. At the end of their walk Chizuru confesses her feelings for Tooru, only have to Tooru says that he likes her too, but as a little sister. They part, and when Tooru returns home Ryuu greets him and gives him bread from the other day the Chizuru left. Ryuu then goes to find Chizuru at docks where she was the last time they played with Tooru before he moved out. There Chizuru realizes that it was Ryuu that called Tooru to come and visit her and asks Ryuu to comfort her, and they embrace. 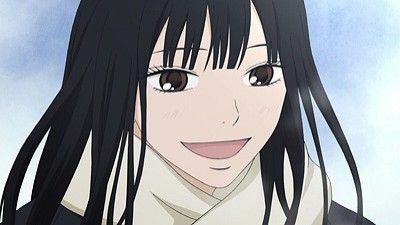 Sawako is happy about her growing relationships with her friends and Kazehaya. Ayane, however, complains about her clingy boyfriend, while Chizuru is in a good mood because she anticipates something at New Year's, which is more than a month away. Chizuru and Sawako go out to pick a present for Ryuu's birthday, and Sawako is sure by the affection Chizuru shows for him that Chizuru loves Ryuu. However, she finds out that Chizuru actually loves Ryuu's older brother. The next time everyone is in school together, it is found out that Ayane dumped her boyfriend. Amid the talk about broken hearts, Ryuu leaves the room and is encouraged by Kazehaya. Later, at Chizuru's house, Ryuu comes into her room unexpectedly. He appears to be about to confess to Chizuru when she notices that she left his present lying out in plain sight. She therefore forces Ryuu to leave, and he ends up going home in the rain. Kurumi tells Sawako to talk to Ryuu and maybe she'll realize something. Sawako doesn't really understand that Kurumi wants her to separate from Kazehaya, but she says she will still talk to Ryuu. 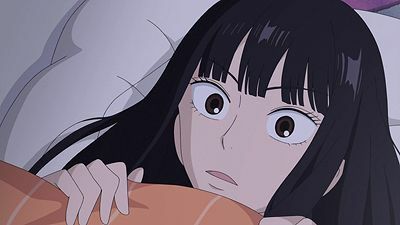 During the softball game Sawako can't keep her eyes off Kazehaya, which makes Kurumi angry as she thinks she is the only one always watching Kazehaya, so she leaves. Kurumi then starts her plan by planting a note asking Ryuu to meet Sawako at the sports equipment room, where Kazehaya has to go later. Sawako, is told by Kurumi that Ryuu is there, and goes to thank him. When they meet, Sawako asks Ryuu about the feeling of love, which leads him to confess that he likes Chizuru. In the meantime, Kazehaya heads to the room carrying some equipment. 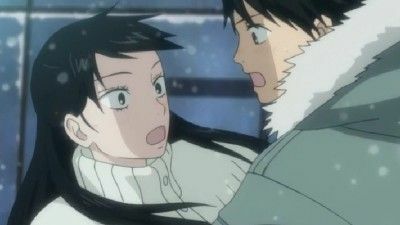 Kurumi goes up to him and tells Kazehaya that Sawako has fallen in love with Ryuu, urging him to support their relationship. 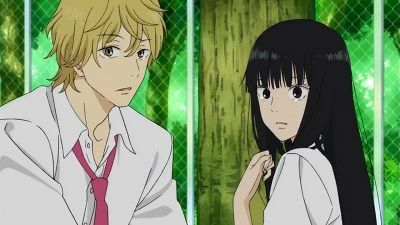 They see Sawako and Ryuu talking happily together. After seeing Sawako and Ryuu together, Kazehaya rushes up to Sawako and pulls her away, leaving Kurumi behind. Kazehaya then confirms with Sawako that she doesn't like Ryuu, while Sawako has just realized that she really likes Kazehaya. Kazehaya asks her what she thinks about people going out as girlfriend and boyfriend, which shocks her so much that she cannot answer properly. Later, Ayane finds out that Kurumi was the one who spread the rumours. Ryuu then shows them the note written by Kurumi, which confirms that she set Sawako up. Ayane and Chizuru go to find more evidence against Kurumi, who is in the meantime waiting for Kazehaya to return. Pin arrives at the equipment room and comes to the conclusion that Kurumi has a crush on him, and rejects her just as Kazehaya arrives. 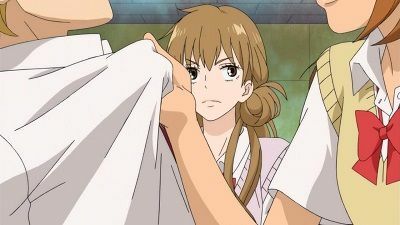 Ayane and Chizuru confront Kurumi, who will not admit to wrongdoing, but when Sawako arrives, Ayane tells her outright that Kurumi was the one who spread the rumors. 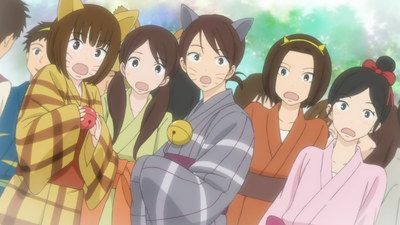 The class is finally starting to prepare for the school festival, and everyone is wondering where Sawako is, in which Chizuru and Ayane say that she had somewhere else to be. Ryu finds Kazehaya outside as soon as he is done with baseball practice, and asks Kazehaya how his confession went. Kazehaya tells Ryu he was rejected, and that the rejection hurt a lot more than he thought it would, though he is unaware that Kurumi overheard the conversation, and she runs off to find Sawako. After confronting Sawako, Kurumi snaps at Sawako and tells her that she is hurting Kazehaya, and that since Kurumi actually told Kazehaya how she felt for him, that they were not on the same level. That night, Kazehaya and Pin run into each other, and Pin starts yelling at Kazehaya for rejecting Sawako. Kazehaya explains that he was rejected, and Pin tells Kazehaya to just give up on Sawako, and walks off, leaving Kazehaya to think for himself. 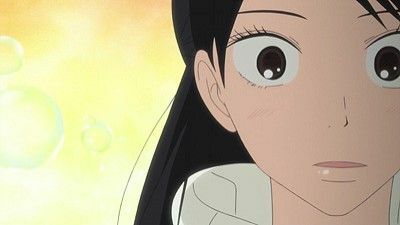 The next day people are talking about the "battlefield" between Kazehaya, Sawako, and Kento, and after Sawako hears people talking about it, she says it was all a misunderstanding and that the meaning of "like" is different, not realizing Kazehaya is standing right there. Ayane and Chizuru take Kento away, as he had said very loudly that Kazehaya liked Sawako in front of everyone. Ayane gets mad at Kento, and starts yelling at him, when Kurumi interrupts. Kento asks Kurumi what she did after she learned about what happened between Kazehaya and Sawako, and Ayane and Chizuru start questioning her. They find out that Kurumi stopped Sawako from giving Kazehaya the Valentine's Day Chocolate and told her off. Kento also finds out that Kurumi likes Kazehaya, and asks her if it would make it easier for her if he went out with Sawako. Kurumi slaps Kento across the face and tells him not to get ahead of himself. Kurumi also says that she didn't think she would lose to such a weak girl, and runs off. After Kento finally gets everything straight through his head, Ayane and Chizuru leave him. Sawako goes in the library, telling herself that she really didn't tell Kazehaya how she was feeling, or anything like that, and that she really wasn't doing anything up to this point. Ryuu tries to confront Chizuru again, but fails to do so, and only tells her not to come to his house this weekend. Chizuru throws a sleep over with the intention of cheer Ayane up from her breakup, but it ends up to be boring because Chizuru planned on getting video games from Ryuu. Ayane convinces Chizuru to go over to his house since it is only Friday, and not yet the weekend. At Ryuu's house they meet Kazehaya and other classmates. They are all having fun, until Ryuu leaves and Chizuru follows, Ryuu once again tries to confess his feelings to Chizuru but is interrupted by his older brother's arrival. His older brother then reveals that he is engaged, Ayane and Sawako look on as Chizuru hides her feelings and congratulate the couple. Soon everyone leaves, and the girls go back to Chizuru's house where Chizuru reflects on her past with Ryuu's brother. The show starts with many students crowding up the locker area in the morning just as Sawako reaches school with Ayane & Chizuru. News about her current girlfriend-boyfriend relationship with Kazehaya has gotten out. Kazehaya is later made to announce and clearly state his and Sawako's relationship so as to avoid further misunderstandings. 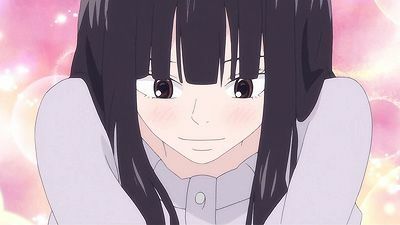 Sawako then goes to confront Kurumi after overhearing Ayane saying to Chizuru that 'there's one girl who's definitely crying' The same group of girls who harassed Sawako in the bathroom in season one gossips and badmouth Sawako near the windowsills and is heard by Kurumi who interefered with the conversation. They throw accusations at each other not long before Sawako appears standing in a distance, just listening to their talk. The group of girls go up against Sawako to tell her off and starts insulting her before Kurumi defended Sawako by simply saying 'Kazehaya will not forgive you if you hurt her' which the girls then threatened to tell Kazehaya Kurumi's illdoings. Kurumi simply urged them to and said that 'let him think of you for what you told him' as Kazehaya greatly dislike tattlers. Kurumi walk off. The girls try to follow after only to be stopped by Sawako who determinedly said to let her as she was Kurumi's true rival. The girls irritated with Sawako tried to follow only to be stopped again by Chizuru and Ayane who somewhat tell them off while comforting them by stating the harsh reality that 'you only hate Sawako because Kazehaya is in love with her now' At the rooftop, Sawako tells Kurumi that she has confessed and they're dating even thought Kurumi already knows from the many gossips. Just as Sawako was about to leave, Kurumi stops Sawako and confesses that the only reason she had the courage and confidence to profess her love for Kazehaya back then was because of Sawako. Sawako stares in surprise as Kurumi walks off without a word. Later near the locker area, just as Kurumi was about to leave, Miura approaches Kurumi and asks if she would have been happy if he were to have managed to make Sawako fall in love with him which Kurumi promptly replied no as it was impossible. Kurumi also mentions her surprise at how Sawako did not thank her not apologize earlier at the rooftop but is glad as Kurumi would have punched her if she did. Ayane then appears, touching Kurumi's shoulders, as if somewhat comforting her, telling she and Kazehaya would never have been possible which Kurumi thought for a moment bitterly and said she didn't need Ayane to tell her that before walking off in tears. Sawako and Chizuru is seen near their class's little garden tending to the flowers. Chizuru comforts Sawako and tells her it was the right thing to do and that she would have done the same. Ryu and Kazehaya approaches them which Chizuru quickly takes up the opportunity and grab Ryu's arm running off leaving Sawako and Kazehaya alone together. As they walked off, Ryu catches Chizuru offguard by telling her he likes her. Chizuru is surprised. She runs after Ryu, bumps him in the back and tells him she already knew that. Sawako and Kazehaya part ways outside their school. Kazehaya is seen riding away before Sawako stops him but when Kazehaya turns around, replies saying its nothing although she might have wanted to mention about Kurumi. Sawako is seen tearing up for Kurumi's situation while an oblivious Kazehaya rides off while giving himself an airpump, probably for his good fortune for finally being together with Sawako. (After the credits) Kazehaya goes on a date with Sawako. After spending a day together, Sawako and Kazehaya seats on a nearby park as she hands him his rightful christmast gift and valentine chocolates. Kazehaya puts on the cap immediately and gobbles up the chocolates commenting on how good it tastes. 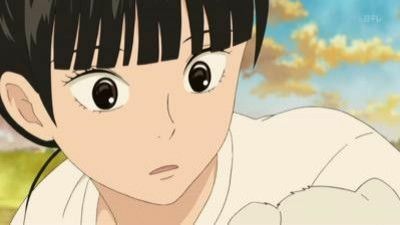 Sawako cries, saying she never had to courage to until now and that she does not know how to be a good girlfriend. Kazehaya embraces her, telling it is not a job and to just be herself. Sawako is invited to eat ramen with Yano and Yoshida at the ramen shop of Ryu's father. After they eat, they head up to Sanada's room. They later invite Kazehaya, but the mood is ruined when Pin shows up. Yano makes sure Sawako and Kazehaya walk home together under the stars. 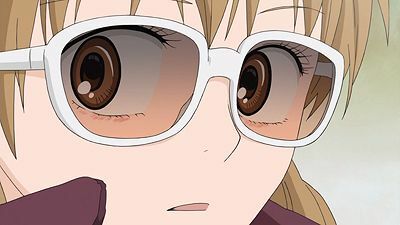 After Sawako hears the rumors she avoids Kazehaya, Yano and Yoshida. Kazehaya is upset about this and confronts Sawako, while Yoshida and Yano make her realise that they are already friends. Sawako stands up against some girls badmouthing Yoshida and Yano. Kurumi reflects on how she met and fell in love with Kazehaya in middle school. In the meantime, rumors about how she was rejected by Pin spread around the school. She realizes that she hates being misunderstood by Kazehaya, so ends up confessing to him. 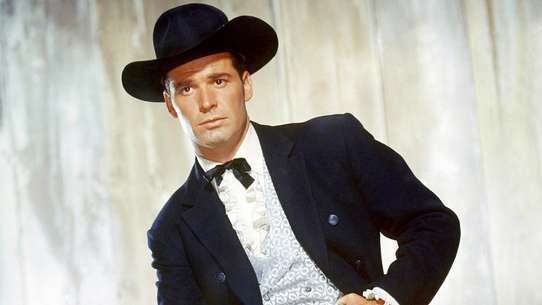 He apologizes, saying he has someone else he loves. She plays it off as "his loss" and says that he has bad taste in women. Meanwhile, Sawako confesses her love for Kazehaya to Yano and Chizu. Later, Sawako and Kurumi meet and Sawako asks if they can be friends. Kurumi responds by saying she isn't Sawako's friend, but her rival. Later, during the after-festival party, Sawako wonders when she fell in love with Kazehaya and ends up falling asleep on his shoulder. The class has a seat changing day, but everyone dreads drawing the seat next to Sawako. Until Kazahaya picks the seat himself and Chizuru and Yano take the seats in front of her. Kazahaya adopts a puppy that Sawako has encountered in the street. 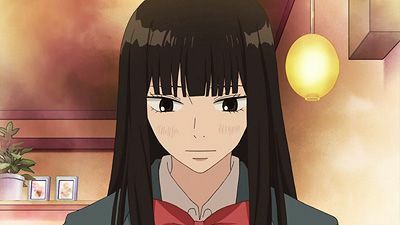 Being an outsider in her class, Sawako meets the popular Kazehaya, who she has admired since the first day of school. 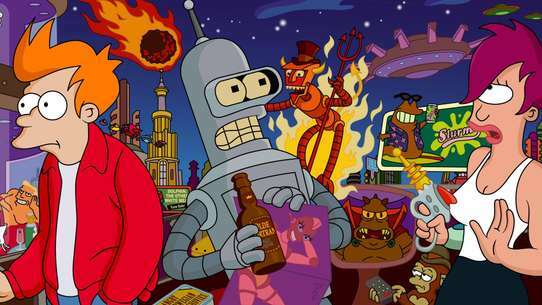 He encourages her to try open up and make new friends. 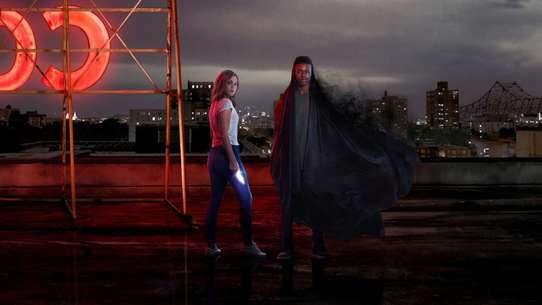 Sawako then volunteers to play as the ghost during a class event, the test of courage. That night, Kazehaya comes to keep her company. Sawako is also becomses a little closer to two classmates, Yoshida Chizuru and Yano Ayane.